These two photographs of a bridge under construction were included in the photography collections from my family. The were mixed in with photographs from Erie County, Pennsylvania and Clarion County, Pennsylvania. The men in the photograph and the location of the bridge are currently unknown. The photographs were taken in late May and early June 1951. The only hint at the location is the caption on the back of the one photograph which indicates "Jim & fellows on bridge at Lovells". 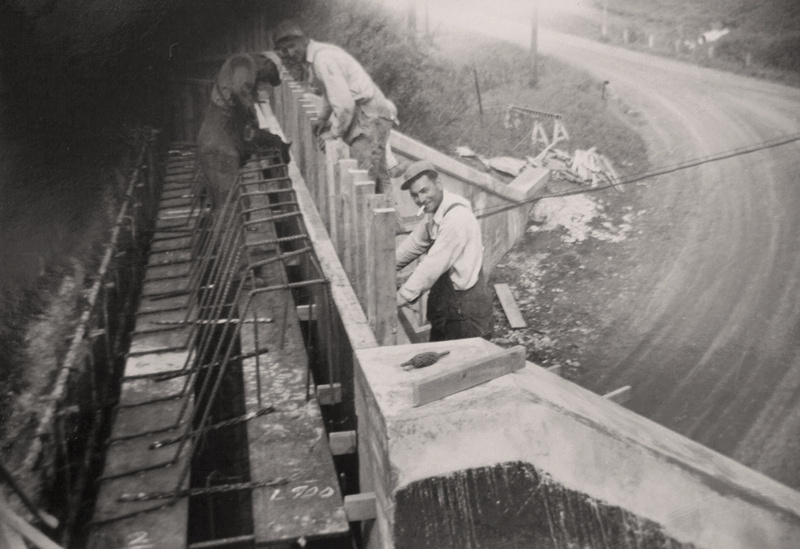 The back of the photograph reads: "Jim & fellows on bridge at Lovells'. Early June, 1951". Photographer Unknown. Editing and digital restoration by Michelle M. Murosky.